Featuring bobber solo saddle, one-piece sissy bar upright and brass collection. 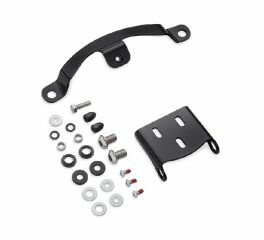 Designed to mount Detachable Sideplates or Solo Rack without saddlebags. 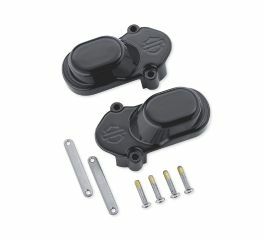 These black powder-coated engine covers are the perfect start in converting your powertrain to a striking wrinkle black look. 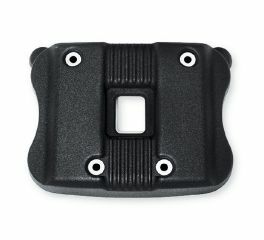 Manufactured from Original Equipment components, these covers are masked and painted on the factory production paint line to ensure a matching wrinkle black finish and a perfect fit. Proudly display the Bar & Shield. 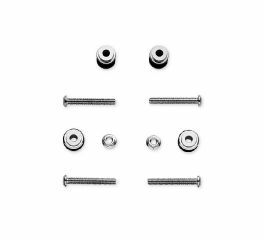 The Bar & Shield shaped bolt heads on this unique chrome-plated stainless steel License Plate Mounting Kit stand out from the pack. 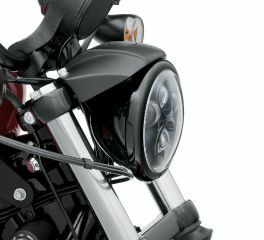 Low profile round air cleaner cover adds an attractive nostalgic look to any bike's profile. This cover can be accented with your choice of stylish air cleaner trim collections (sold separately) for a personalized look. 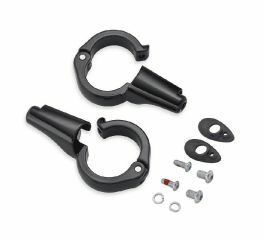 Finishes the Dark Custom™ look by replacing the Original Equipment chrome headlamp trim ring with sinister black. 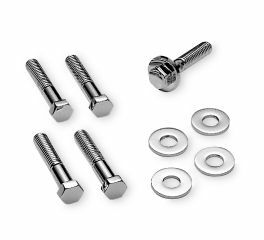 Highly-polished, chrome-plated, grade 8 hex-head screws with chrome-plated washers, provide an extra custom accent. 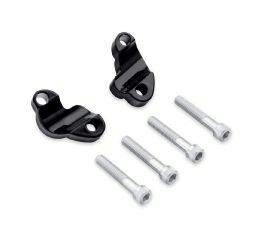 Kick your custom into gear with this collection of high-quality custom shift linkages. Add a unique touch to your bike. 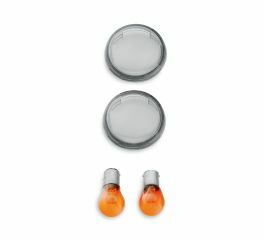 These Turn Signal Lens Kits replace the amber lenses for a clean front and rear appearance. 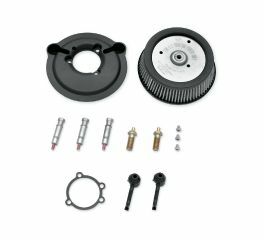 The XL Stage 1 Air Cleaner Kit provides increased air flow to boost the power of your fuel injected Sportster® model. 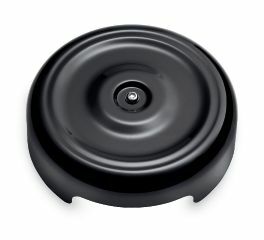 This Round Air Cleaner transforms the appearance of your Evolution power plant and allows you to replace the Original Equipment oval air cleaner cover with your choice of accessory round covers. 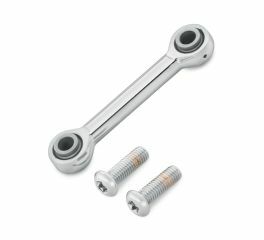 Add a custom style to the front end with this brilliant chrome-plated Engine Mount Stabilizer Link. 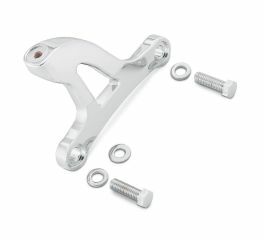 A must-have for any chrome connoisseur; this chrome-plated Front Engine Mount Bracket will set your custom apart from the rest. Style and function in one. 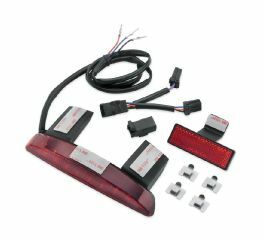 This center-mount running and brake light commands the attention of following vehicles. 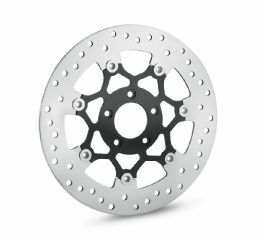 Cover the front axle in style. 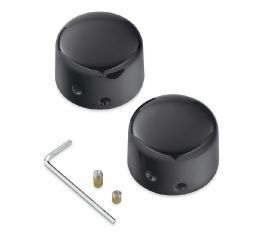 These smooth custom, die-cast Axle Nut Covers look great and add the finishing touch to complete a custom front end. Get the low lean minimalistic garage built look. 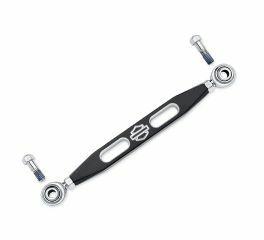 Required for installation of Sportster® Clubman, Drag, Chizeled and Chizeled Lo Handlebars on Sportster® XL1200X models. 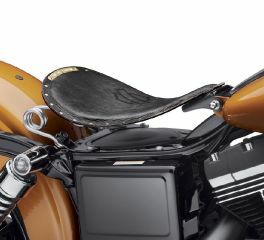 The sweeping shape of this slim solid bar Passenger Upright completes the classic "bobber" look. 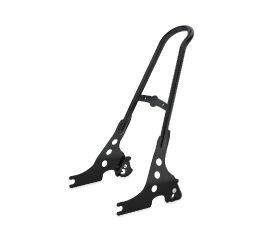 The one-piece design eliminates separate sideplates for a clean appearance, and the stylized upper kick angle mimics the old-school sissy bars of the 50s and 60s. 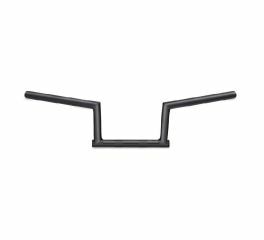 With a low profile 4" rise and a narrow lane-splitting 27" width, this compact Z-bar bar will give your bike a classic West Coast look. Moves the Original Equipment bullet directional lamps from the upper to the lower triple tree for a low-profile slammed look. How low can you go? This minimalist solo seat takes the stripped-down garage-built look about as far as you can go.